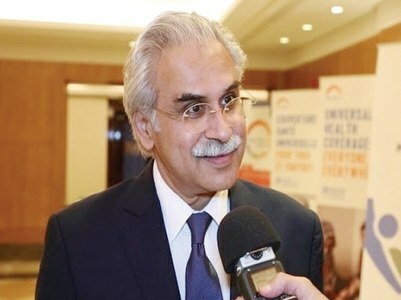 ISLAMABAD: National Health Services Minister Aamer Mehmood Kiani on Saturday said the government will introduce a system of monitoring hospitals to ensure uninterrupted healthcare facilities. He stated this during snap visits to two hospitals in the capital. “We will not tolerate any negligence regarding healthcare,” the minister said during his visit to Polyclinic. He went around the emergency and other wards and asked patients if they were getting proper treatment. He visited the vaccination centre of Polyclinic to monitor the immunisation of children and mothers. Mr Kiani also conducted a snap visit to Pims. He went around the outpatient department, emergency, cardiac centre, orthopaedic, nephrology and other departments and appreciated the recent improvements made in the hospital. The government will also increase funds and human resource for the improvement of patient care, said the minister. A presentation on projects and the budget of Pims was also given by Executive Director Dr Raja Amjad Mehmood. Pims’ media coordinator Dr Waseem Khawaja told Dawn that the minister appreciated the changes made in the hospitals during the last four months and assured the management that more doctors and nurses would be appointed for Pims soon. He also announced that soon all patients admitted to the hospital would be getting free medicines. Besides, more equipment would be installed at the radiology department of the hospital.